The volume reflects on how learners' L2 development between the ages of 6 and 16 can be coherently described and their L2 assessment defined in terms of socio-cognitive validity. 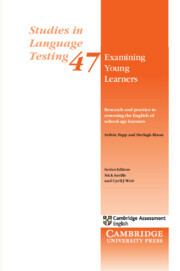 There is particular focus on the theoretical foundations, language competence model, development and validation framework, and evaluation and review processes to provide evidence for the validity of the Cambridge English family of assessments for children and teenagers.Academics, assessment professionals and postgraduate researchers of L2 development in children and teenagers will find great value in the volume's theoretical insight, while policy-makers and teachers will gain rigorous practical advice for the young language learner's classroom and assessment. 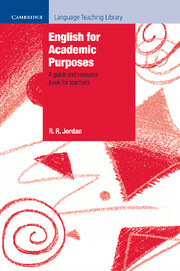 This book provides a comprehensive overview of the field of English for Academic Purposes (EAP) for teachers.